We are a dedicated team of three osteopaths and a complementary massage therapist. We have many years of experience and are highly qualified and up to date with the best skills and thinking in our disciplines. We help all sorts of people with all sorts of problems and we are proud how many families and individuals have come to make us their trusted point of reference for all their medical concerns. 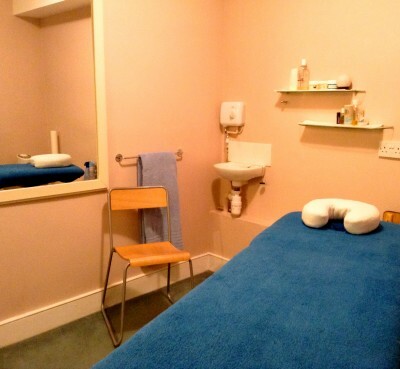 We can assure you that we will happily take the time to advise you, where we are knowledgeable, without ever recommending unnecessary or inappropriate treatment. We are trained and experienced in paediatrics and pregnancy; able to help babies through to teenagers. We offer sports and injury therapies for the active and those unfortunate enough to have been involved in accidents. We have therapies suitable for tired and overworked mums and dads and specialist knowledge in the field of post-surgical rehabilitation for minor or major surgeries. Adult work and life can be tough and we are able to offer sound advice for posture and strain factors as well as practical support with self-care and home exercises. We have a full understanding of the aches and pains and stiffnesses that affect those in their middle years and are able to gently support and help the quality of life for much older people too. You can ask us about your concerns easily by emailing us now or by calling our reception to arrange a free 15 minute chat with a practitioner. Otherwise browse our help pages and links on this site for more information. We are always happy to discuss with you personally and in depth any condition or concern you have for yourself or your child or other dependent before you choose to book treatment with us. We are open Monday to Saturday and have evening appointments available. Home visits are not generally made but please talk to us about any specific concerns you could have about being able to attend the clinic. All Osteopaths are required to be registered with the General Osteopathic Council (GOsC). Lara Last is our highly experienced massage therapist. Stephen Beaver is the principle practitioner and founder of SW19 Osteopaths. Simon has been the senior associate in this practice for many years. Chiara is one of our associate osteopaths.